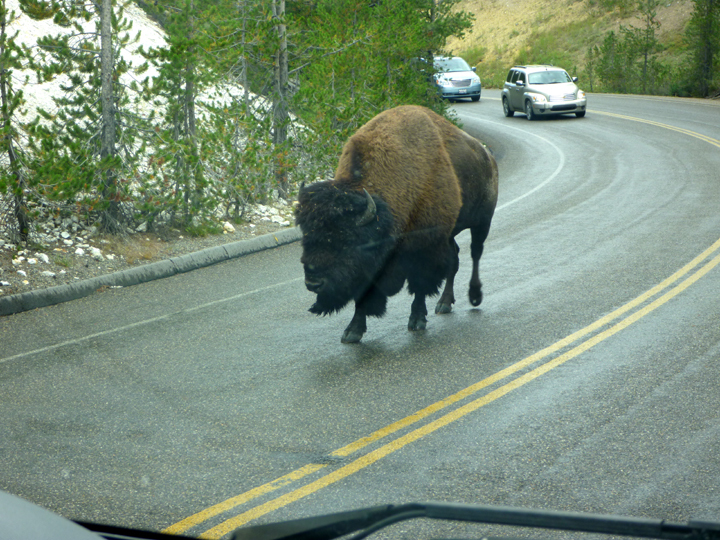 You can’t visit Yellowstone without seeing wildlife (and I don’t mean the tourists). We saw a lot more than we were able to photograph, but here are a few highlights. 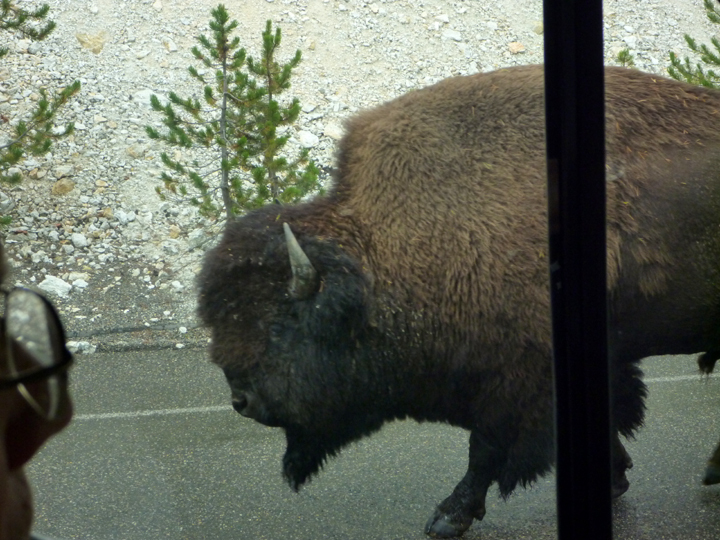 We were pretty excited to see this big guy, our first buffalo in the wild. 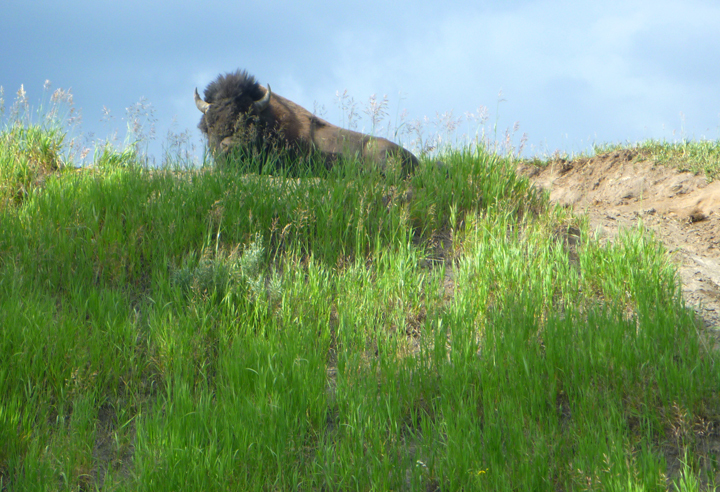 Shortly after this photo he trotted down the hill and crossed over the Yellowstone River on Fishing Bridge, an automobile roadway. 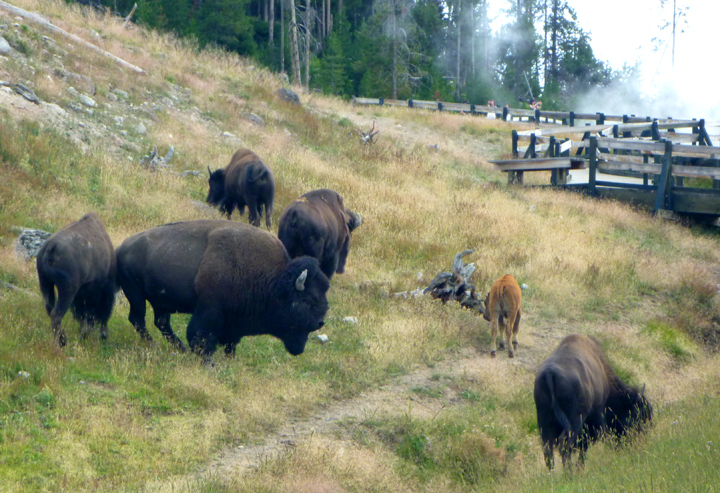 Just about an hour later we came upon a herd grazing around one of the geyser basins. These people are much too close to this unpredictable beast. 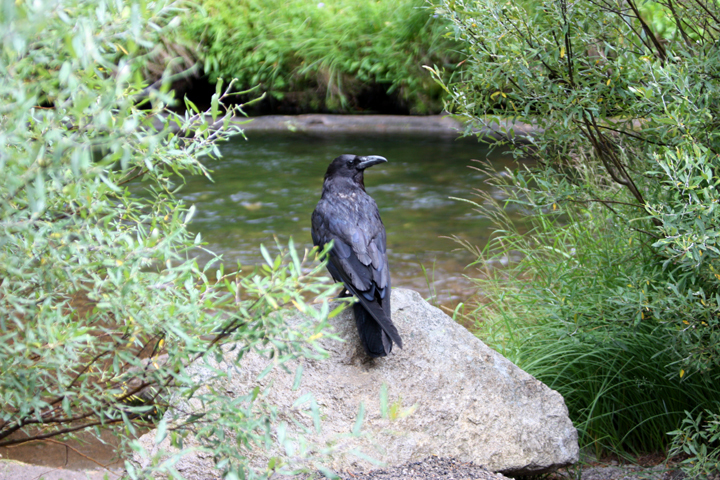 The next day, this guy was ambling down Roosevelt Memorial Highway like he owned the place. Al slammed on the brakes and didn’t much like the way he looked at haRVy. 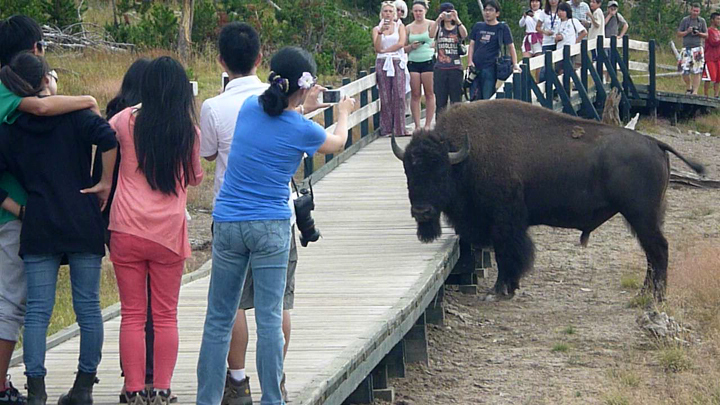 Frankly, he was a little too close for comfort, but we had nowhere else to go. Wish I had captured more of the expression on Al’s face! Plenty of these guys around causing trouble and making noise. No idea what this little guy is. Anybody know? He was almost as small as a chipmunk, but shaped more like a mongoose. OK, that’s it for Yellowstone. My next post will feature a new and different locale, I promise! Little guy ? Maybe a whistle pig ? 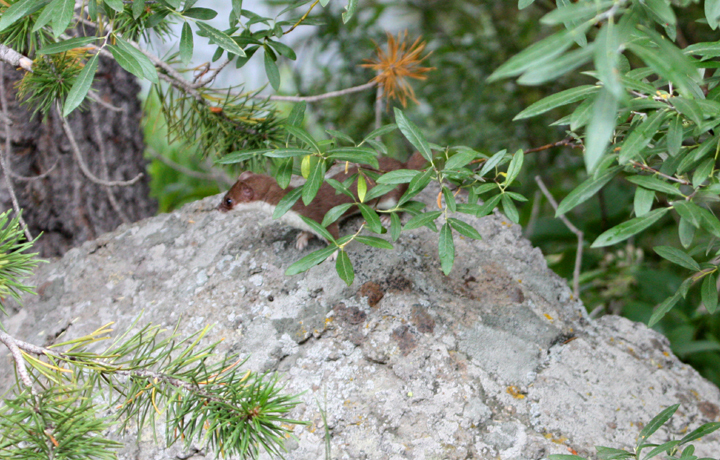 Someone with a Wildlife of Yellowstone book identified it as a long tailed weasel.